With Christmas very nearly here, all around us festive cheer and celebrations are taking place. In our workplace, high street and homes. However for those of us who have lost someone to cancer, it isn’t always a happy time of the year. How do we cope when someone special won’t be home for Christmas? Nothing can fully ease the pain of loss over this festive season, no matter how long ago we were bereaved. The answer, as we all know, is that it will be difficult. Nothing can fully ease the pain of loss over this festive season, no matter how long ago we were bereaved. It’s difficult without that significant person by the tree and the constant reminders that it’s the season to be jolly. However, the grief we experience at this time of year, if acknowledged and processed, can be an important stage in the grief process. We recently sat down with our counsellors here at Big C to talk to them about how to face the Christmas period and the first thing that was suggested was thinking about how we want to celebrate Christmas – if at all. All of us have Christmas traditions, it may be the favourite Christmas film, or certain family members cooking the dinner, whatever it is for you, there are ways to deal with that. You could decide to honour them in their memory or completely shake up the routine and try to create new memories. It might be an idea to add a fitting tribute to them, whether that’s all sharing a story of a happy memory involving them, or visiting a place of significance. If it feels right, you could try travelling elsewhere to visit friends or family over Christmas, or perhaps booking a trip away. Importantly, we need to focus on happy memories of the person we’ve lost, and the good times shared together at Christmas. Eventually we will all start to create new Christmas memories. The Big C telephone support line is free to call on 0800 092 7640. It operates between 9:00am – 5:00pm on Tuesday, Thursday and Friday and between 9:00am – 7:30pm on Monday and Wednesday. Over Christmas the line will only be available on December 24th, 27th, 28th and 31st. Cruse Bereavement Care has a National Helpline 0808 808 1677 with trained bereaved volunteers, who offer emotional support to anyone affected by bereavement. Over the Christmas period they operate over extended hours. The helpline is open Monday-Friday 9.30-5pm (excluding bank holidays), with extended hours on Tuesday, Wednesday and Thursday evenings, when they’re open until 8pm. 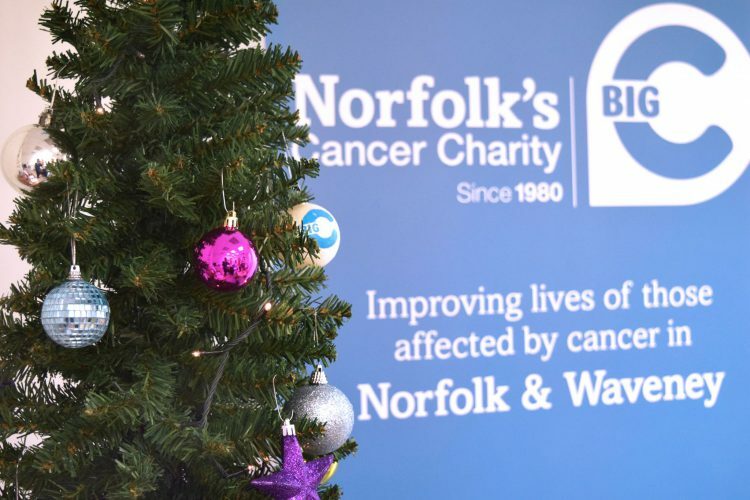 The Big C Support and Information Centre at the Norfolk and Norwich University Hospital (NNUH) is open normal hours (9am – 4.30pm) on December 24th, 27th, 28th and 31st. On December 25th, 26th and January 1st the Centre will be shut. The Centre at The Louise Hamilton Centre in Gorleston, the Great Yarmouth Centre and the King’s Lynn Centre will be closed from December 24th until January 2nd.